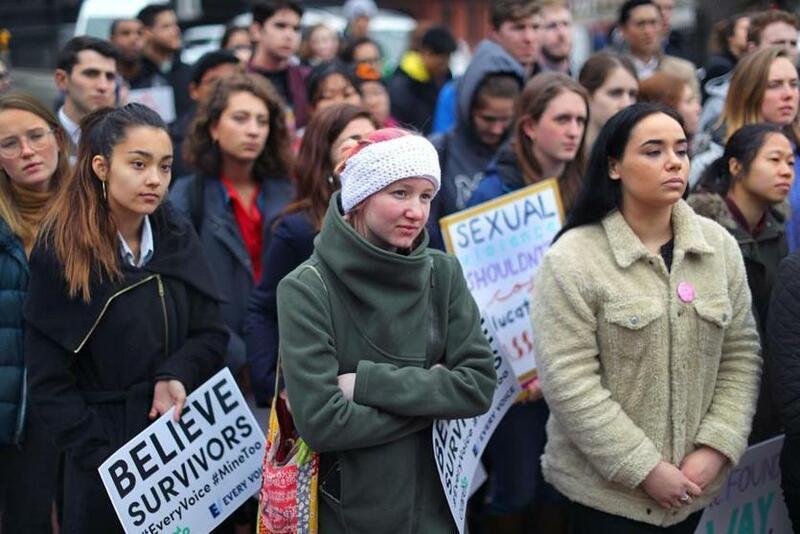 College students held a rally last year in front of the State House to lobby Beacon Hill for legislation aimed at cracking down on campus sexual assault. Last week, the Legislature’s Joint Committee on Higher Education held a hearing on two campus-safety bills. The committee heard story after heartbreaking story of students who are survivors of sexual violence at Massachusetts campuses. State Representative Christina Minicucci also testified about her own sexual assault during her first month of college. She eventually learned that her story was all too common, and how hard it is to get justice. The first challenge in dealing with the issue is finding reliable data to design effective policy responses. An often-cited national survey from 2015 found that 23 percent of female undergrads are victims of non-consensual sexual contact while in college. At the same time, sexual assault is one of the most underreported crimes on campuses, so the current data is likely understating its incidence already. It’s why Every Voice, a coalition of students, has been pushing for change in the Legislature for nearly five years to quantify and track rates of sexual violence as well as provide best practices for schools. They don’t want sympathy anymore — they want action. Some local colleges already survey their students, but there is no statewide, systematic collection of data that the public can access. One of the bills proposed would require every higher-education institution in the state to conduct a standard sexual misconduct climate survey among its students every two years. The model survey would be written by a task force and approved by the commissioner on higher education. The (anonymous) data would then be published. Louisiana, Maryland, and New York have enacted similar campus climate survey laws. The second bill filed would strengthen the flow of information and resources between schools, survivors, and the accused, and require universities to implement proven best practices. Among them: to provide sexual assault prevention-and-response training for all students and staff; to establish policies on sexual and gender-based violence; and to hire a “confidential resource advisor” to provide information to victims and students accused of assault. Here’s another reason Massachusetts must act now: US Education Secretary Betsy DeVos is rewriting rules around how colleges and universities address sexual misconduct on campus, in response to complaints that campus investigations failed to protect the due-process rights of accused students. Among DeVos’s proposals is narrowing the definition of what sexual harassment is. Final regulations will be released in the fall. While some revision to the rules is appropriate, there’s ample reason to fear that the pendulum will swing too far, allowing colleges to go right back to ignoring the problem of campus sexual assault. Advocates say that nothing in these state bills conflicts with federal rules and regulations: They’re not about due process or standards of evidence. Instead, they merely enhance the support and resources available to students and survivors of sexual violence and require data collection to keep tabs on the extent of the problem. This should be the year the bills finally reach the governor’s desk and become law.